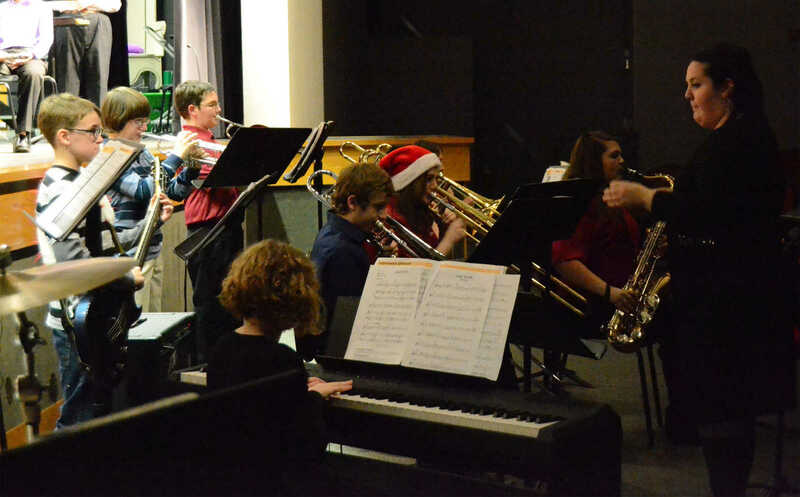 The Nevada middle school jazz band performs during the Winter Concert on Tuesday. 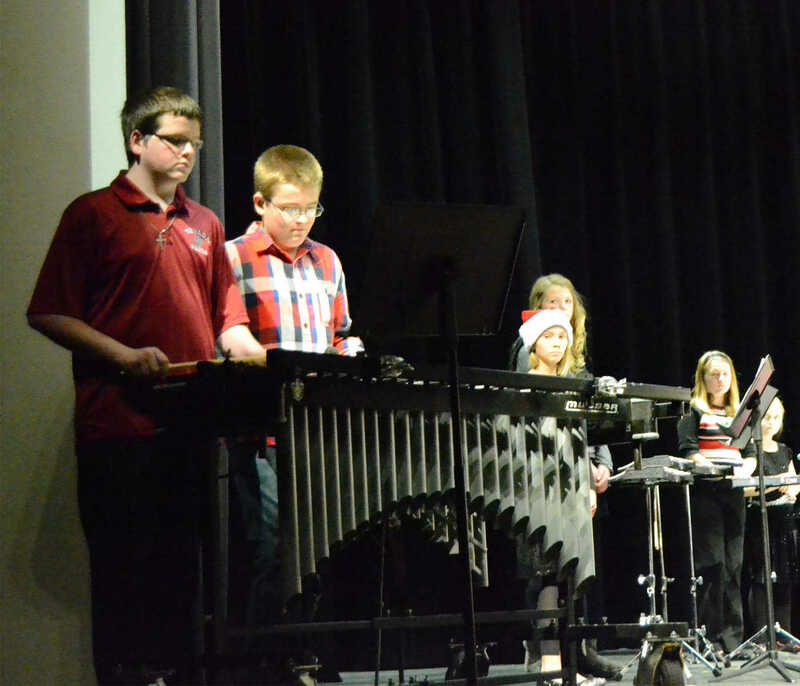 Weston Covery, left, and Spencer Hawkins perform during the Nevada middle school Winter Concert on Tuesday. 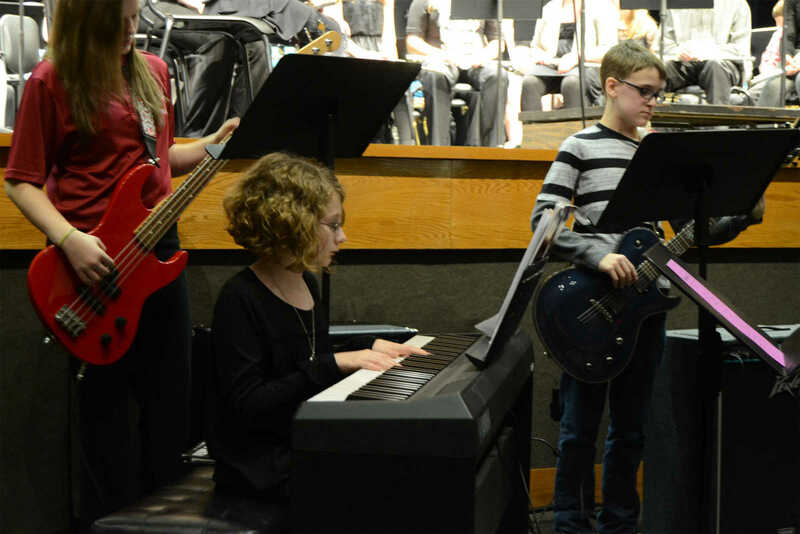 Clara Haverstic plays piano while Lauren Eaton and Cayden Lynch play bass and guitar during the Nevada middle school Winter Concert on Tuesday. 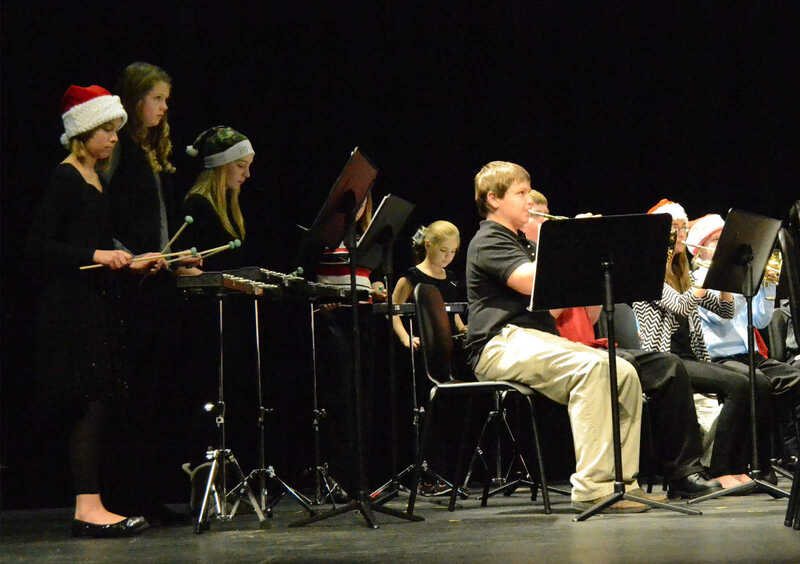 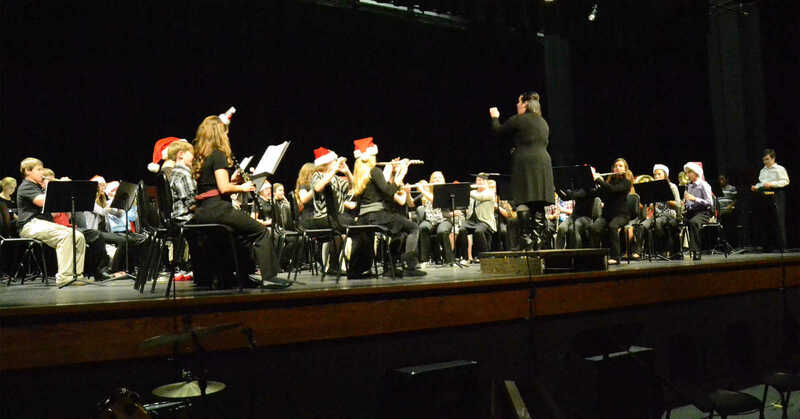 Sixth grade band performs during the Nevada middle school Winter Concert on Tuesday.